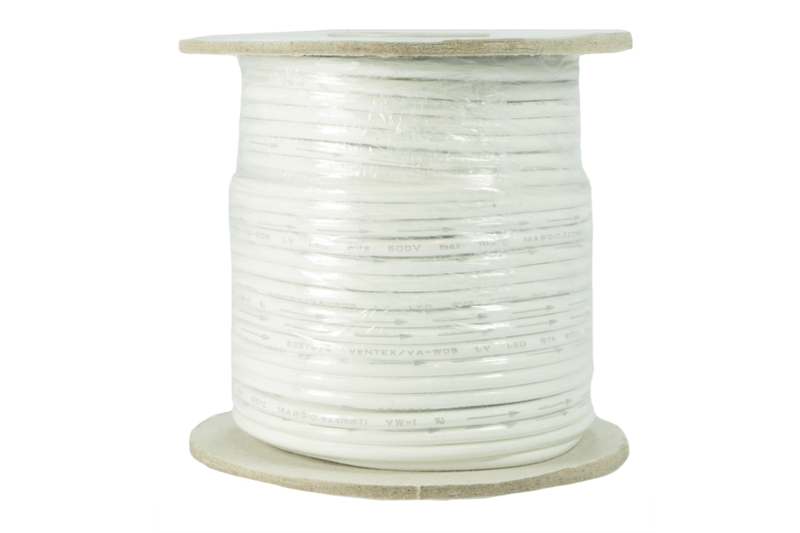 This wire is 18AWG and has 1 conductor. 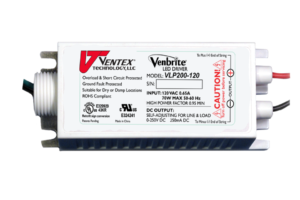 The output leads of the VLP125SPD-120 LED Driver are composed of Low-Voltage LED Wire. The positive wire exits the driver with the arrows pointing away from the driver and toward the LEDs. 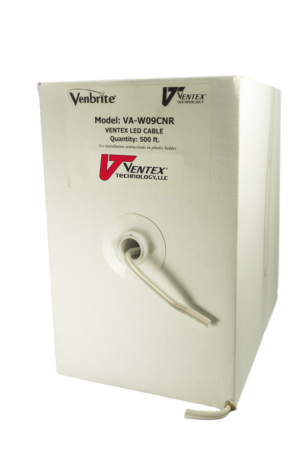 This wire is connected to the (+) of the first LED module in the string, whether directly or with additional arrow-marked LV Wire, as the driver can be up to 300 feet away from the first LED. 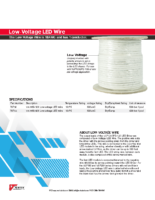 The LED string wire, between each module, is also composed of this arrow-marked wire. 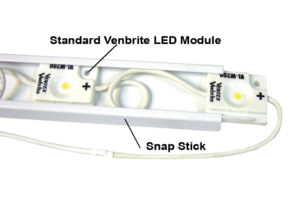 The last LED module is connected/returned to the negative wire which has its arrows pointing toward the LED Driver. For the VLP100 and VLP200 series Drivers with red and black leads, the Low-Voltage LED wire is attached where the red lead is the positive and arrows face away from the driver and the black lead has the arrows facing toward the driver.